The interview was recorded on April 17, 2015, at NCPH’s annual conference in Nashville, Tennessee. The interview audio files are available online here. In 2019, edited versions of the two recording sessions with Johnson will be published in China’s first public history journal, Public History, A National Journal of Public History. Dr. Johnson passed away on November 16, 2018. You can read Phil Scarpino’s reflection on interviewing Dr. Johnson here. You can read Rebecca Conard’s “In Memoriam” about Dr. Johnson here. Wes truly was “the Music Man of public history,” to quote Arnita Jones or, as Ted Karamanski put it, “the Johnny Appleseed of public history,” spreading the word everywhere, creating networks, planting seeds. I was a beneficiary for I met him in the fall of 1981 at a National Endowment for the Humanities program directors meeting. When he learned my grant was for public history, he invited me to Santa Barbara for a gathering that was seminal for me. I have subscribed to The Public Historian since the first issue, was a committee member while Wes was Council chair, and a board member and executive secretary while he was journal editor, so this interview was my walk down memory lane. We already knew Wes’s key contributions to public history and NCPH. Our questions therefore focused on organizing the 1978 Phoenix history conference, starting The Public Historian, securing Rockefeller Foundation support, working with Bob Kelley to start the UCSB program, convening the 1979 meetings at Montecito and the National Archives in Washington, DC, getting NCPH to adopt the journal, serving as the first NCPH chair, and helping organize the 1984 summer institute at Arizona State. Wes was eager to talk, and we all made assumptions that might not be clear to future listeners. Many references to individuals could require annotation, for instance, because we all knew them and did not need that information. As academic administrators, we understood that he bypassed the chain of command when asking UCSB Chancellor Robert Huttenback to support the journal and his laughter that Dean David Sprecher “jumped” at the chancellor’s “command” to provide it. What we wanted to know, I think, was how Wes accomplished everything. We constantly noted the importance of his past experiences, vision, contacts, ingenuity, marketing ability, confidence, determination, and sense of humor. As I quote him here, I am omitting extraneous words or combining parts of the interview. Wes’s sense of humor shone through when discussing the National Archives meeting. When he heard that Joel Tarr would not be at the morning session, he said, “Pity, pity. That was music to my ears. We talked about it [applied vs. public], and Robert Pomeroy, David Trask, and Phil Cantelon endorsed ‘public history.’ So we voted on it. We sunk ‘applied history’ because Joel was too busy going to a luncheon.” That is a story that only an oral history would pick up! This interview also included the UCSB public history curriculum, and Wes’s international advocacy for public history, career at Brigham Young University, wife Marian’s career, and retirement activities. Those topics are beyond the scope of this blog post. While Wes never seemed to tire, we closed after two-and-a-half hours, with Phil telling Wes that “it has really been a privilege to talk in depth to ‘the music man of public history.’” The interview then appropriately closed with laughter. It was indeed a privilege. ~Barb Howe is retired from West Virginia University. She served as NCPH chair (1988-1989) and is currently active in the NCPH Council of Past Presidents and NCPH’s 40th Anniversary Ad Hoc Committee. Rebecca Conard served as NCPH president from 2002 to 2003. Phil Scarpino served as NCPH president from 1993 to 1994. Arnita Jones attended the Montecito Symposium and the National Archives meetings in 1979. She held several positions with NCPH and The Public Historian, including serving on The Public Historian‘s National Board of Editors from 1981 to 1986 and as NCPH chair from 1987 to 1988. She received a 2016 NCPH Founders Award. Ted Karamanski is professor of history and public history director at Loyola University Chicago and served as NCPH chair from 1989 to 1990. The 1978 Phoenix History conference was funded by the National Endowment for the Humanities and was part of Wes’s project to write the history of Phoenix, his home town. 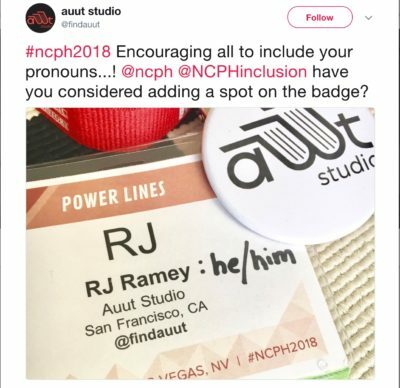 He used the NEH money that was funding the Phoenix History Project to host what became a regional conference that included some national speakers. 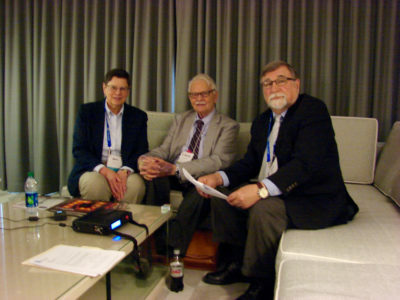 The 1979 meetings at Montecito and in Washington, DC, led to the formation of NCPH. Joel Tarr is currently Richard S. Caliguiri University Professor of History at Carnegie Mellon University and received a 2018 NCPH Founders Award. Robert Pomeroy participated in the Montecito and National Archives meetings. He served in a variety of positions associated with NCPH, including the National Board of Editors for The Public Historian from 1981 to 1986, and NCPH treasurer from 1982 to 1983. He received a 2015 NCPH Founders Award. David Trask also attended the founding meetings and served on The Public Historian‘s National Board of Editors, including as chair from 1981 to 1989, and on the NCPH Board of Directors from 1980 to 1985. Phil Cantelon is a founder of NCPH and served as NCPH executive director from 1981 to 1983. He is currently co-founder, board member, and chairman emeritus at History Associates. He received a 2016 NCPH Founders Award.